Additional Services | Engineered Solutions, Inc. Engineered Solutions, Inc. offers a full array of additional services that provide as needed benefits to our client. These services are created specific to the needs of our clients while still adhering to defined industry standards. Is your safety program up to OSHA standards? 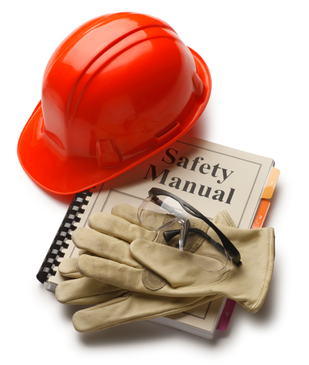 Contact us to help you update your safety program by reviewing your safety manual and training records. Our safety training development can span across large and small companies at multiple sites. We leverage digital products, such as SharePoint, to streamline and share your training materials. A typical OSHA program manual may include Power Point presentations, notes, quizzes with tests, and a checklist for all pertinent safety topics. Are you ISO 9001:2008 certified? Do you want your company to be ISO certified? Contact us now to help you obtain your ISO certification. Certification can be completed in a short time frame and provide instant returns for your business. Have you trained your employees about OSHA’s GHS yet? Contact us now to help you with compliance and complete your initial training requirements. The new regulation requires that all employees be trained by December 1, 2013. Employers, chemical manufacturers, and importers must comply with all provisions of the rule by June 1, 2015. Safety manual and training records review. Full safety program creation including manuals, self inspections checklists, PowerPoint presentations, training notes, testing materials. Our training and safety packages can be designed with both digital and physical components. OSHA Global Harmonized System training and compliance. ISO implementation and certification. Including, but not limited to ISO 9001:2008.